Lithium-ion technologies have aggressively evolved over the last few years. This is primarily due to increasing costs in electricity. However government is also driving policies to become less reliant on fossil fuels as a result of its negative impact on the environment as well as the benefits of long-term sustainability in green associated energy. Private business’ are also starting to see the commercial viability of green energy and stored energy, which have all driven green-energy consumption both in electrical AC terms and motor vehicle terms. Lithium-ion solutions provide green sustainable outcomes with the capability to significantly increase the operating life of the asset, thereby creating a more viable long term solution to using stored energy along with solar or wind technology. This lithium technology also presents commercially viable options in hybrid applications where one actively uses stored energy to power environments at night, thereby mitigating the use of mains almost entirely. 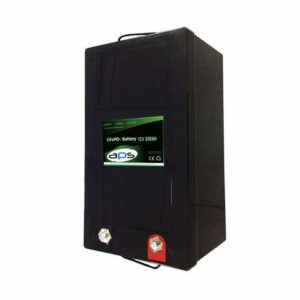 Due to the enhanced cycle capability of this technology the replacement of the lithium storage system is +/- 8-12 years depending on the depth of discharge applied to the battery. The APS lithium iron phosphate (LiFePO) battery, is a type of rechargeable battery, specifically a lithium-ion battery, which uses LiFePO as a cathode material, and a graphite carbon electrode with a metallic current collector grid as the anode. This technology offers longer lifetimes, better power density and is inherently safer. LiFePO technology is finding a number of roles in vehicle use as well as backup power applications. The LiFePO battery uses a lithium-ion-derived chemistry and shares many advantages with other lithium-ion battery chemistries. However, there are significant differences. 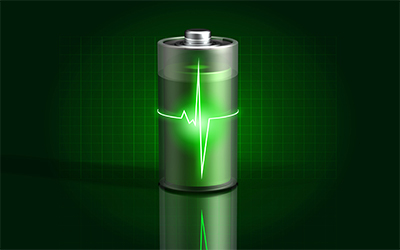 LFP chemistry offers a longer cycle life than other lithium-ion approaches. LiFePO batteries have a very constant discharge voltage. This allows the cell to deliver virtually full power until it is discharged. 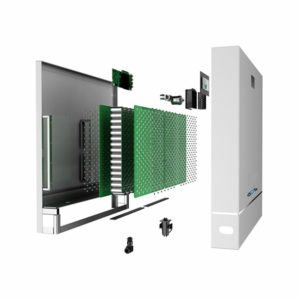 It can greatly simplify or even eliminate the need for voltage regulation circuitry. Because of the nominal 3.2 V output, four cells can be placed in series for a nominal voltage of 12.8 V. This comes close to the nominal voltage of six-cell lead-acid batteries. 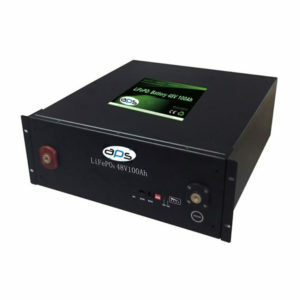 Along with good safety characteristics of LFP batteries, this makes LFP a good potential replacement for lead-acid batteries in many applications such as automotive and solar applications, provided the charging systems are adapted not to damage the LFP cells through excessive charging voltages (beyond 3.6 volts DC per cell while under charge), temperature-based voltage compensation, equalization attempts or continuous trickle charging.